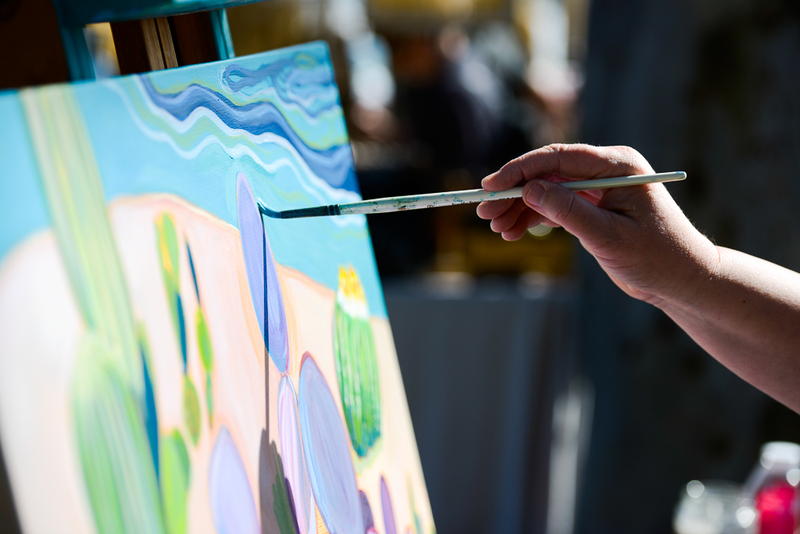 47th Annual Dana Point Festival of Whales on March 3-4 and 10-11 from 8 a.m. to 4p.m.  The County of Orange, OC Parks and Dana Point Harbor invite families to experience the 47th Annual Dana Point Festival of Whales on March 3-4 and 10-11 from 8 a.m. to 4p.m. 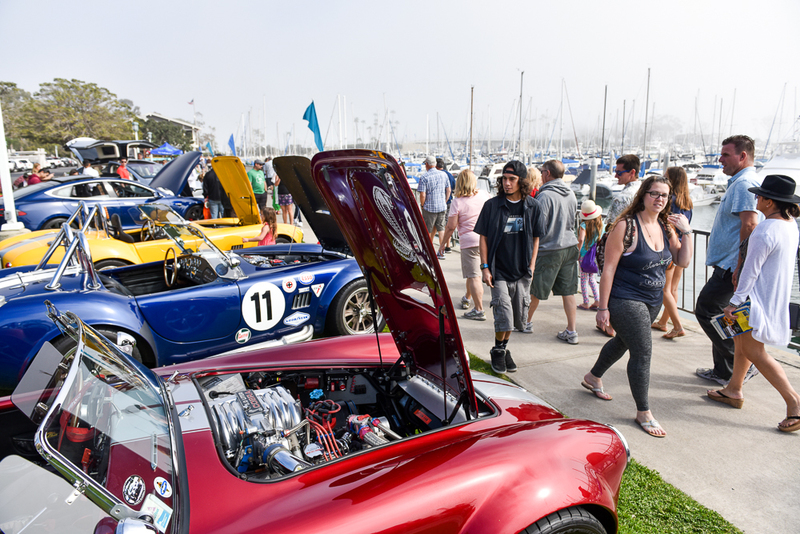 Visitors can explore Dana Point Harbor during the gray whale’s annual winter migratory ritual, and enjoy exciting activities including whale watching, sand sculpting, live music, the Dinghy Dash, Art in the Park, delicious harbor eats and educational hands-on activities. 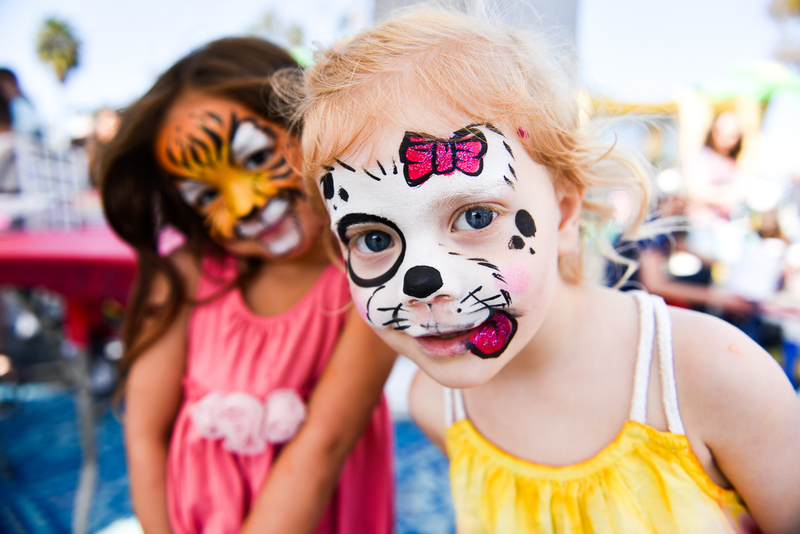 The Dana Point Festival of Whales offers two weekends of outdoor fun in the “Whale Capital of the West.” Locals and destination seekers alike can experience the festival on land or by sea to celebrate the migration of California gray whales as they pass through the ocean waters of Dana Point. 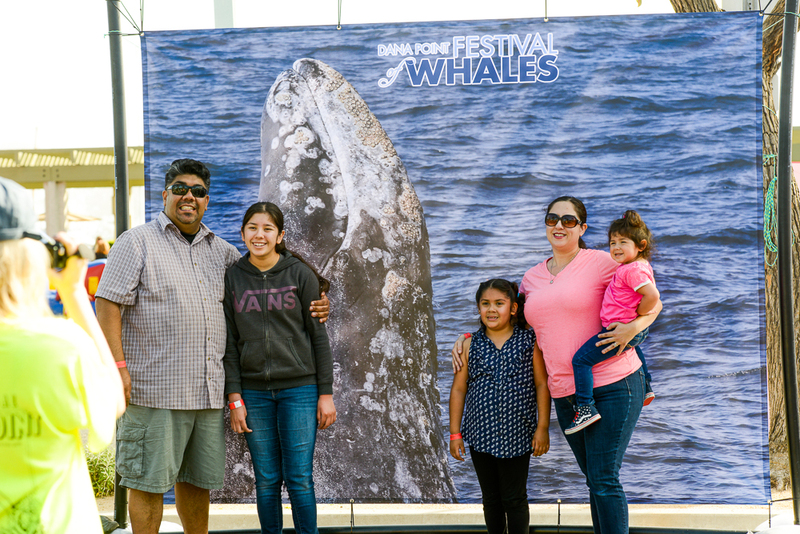 Whale watching excursions will depart every hour on the hour from 8 a.m. to 4 p.m. from the wharf during both festival weekends, offering views of majestic ocean life found off the coast of Dana Point. Prices and trip durations vary. The Festival of Whales Parade kicks off the festivities on Saturday, March 3 at 10 a.m. Attendees can view the parade from the side of Pacific Coast Highway between Selva Road and Street of the Golden Lantern, where onlookers can enjoy the parade featuring giant helium balloons, community organizations and more. Marine life enthusiasts of all ages can enjoy Ocean Awareness Day on March 4 from 11 a.m. to 4 p.m. at Baby Beach for free interactive displays, demonstrations, activities and more. 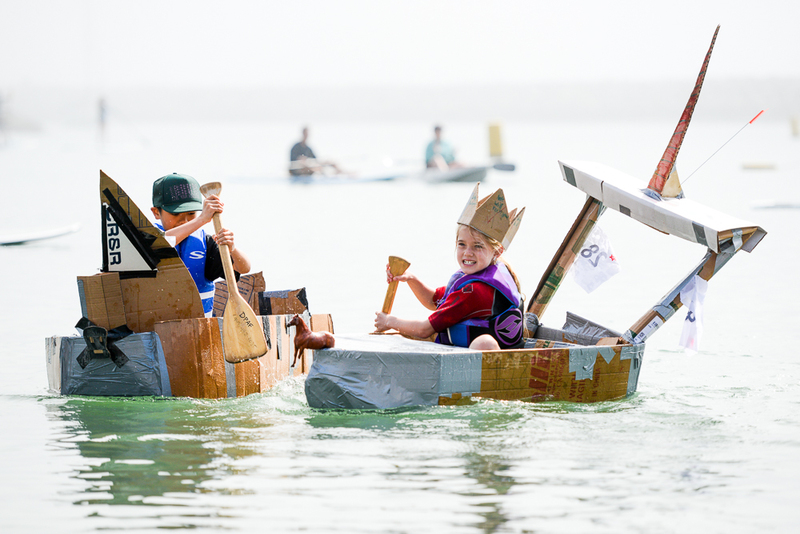 Festival-goers can take part in Westwind Sailing’s Cardboard Classic Dinghy Dash & Expo at Baby Beach on Saturday, March 10 from 8 a.m. to 1 p.m., when teams of all ages will create cardboard dinghies and compete in a friendly race. Wrap up the weekend with delicious barbeque and live music at Baby Beach during the Whale of a Concert BBQ on Sunday, March 11 from 12 to 5 p.m. Guests 21 years and older can also enjoy a Spirits Garden as they watch bands perform atop a floating stage. Parking will be available in different lots throughout the Harbor. 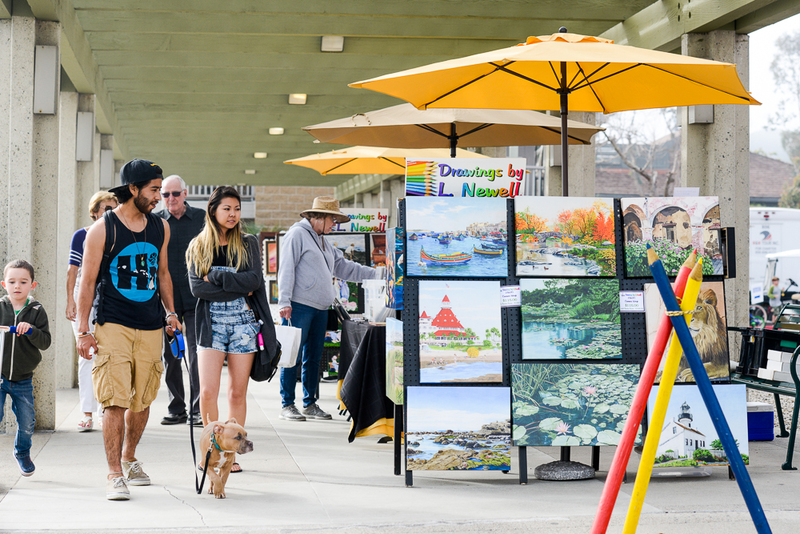 All lots are serviced by free shuttles, running from 10 a.m. to 4 p.m. every day of the festival with extended service hours the morning of the parade on March 3 and the afternoon of the Whale of a Concert on March 11.  The Ocean Institute will be a stop for the official 2018 Festival of Whales Water Taxi. 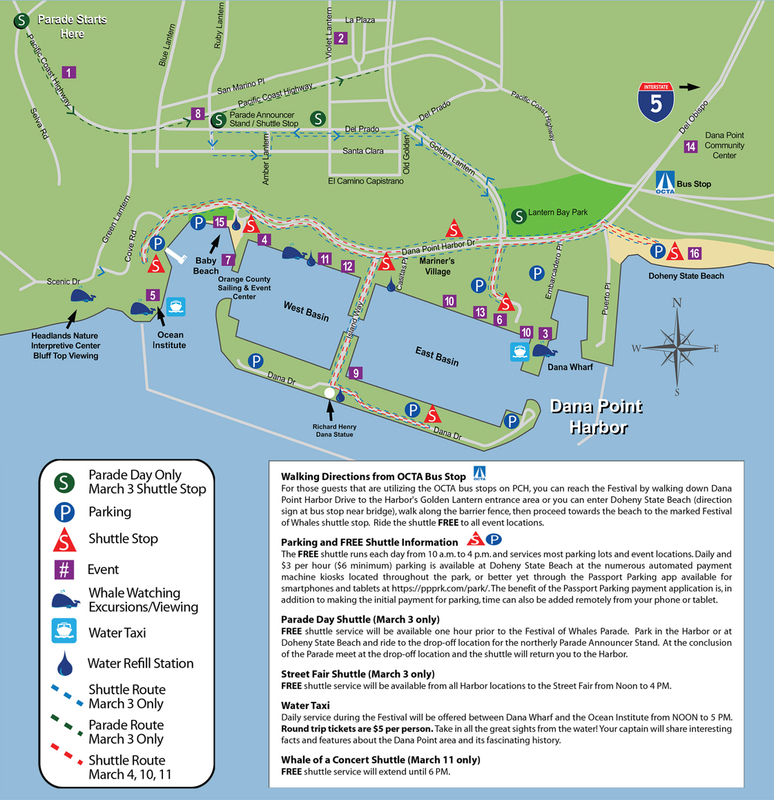 Daily service will be offered between Dana Wharf and the Ocean Institute from 12 to 5 p.m. on the days of the event. Tickets are $5 per person, available on the taxi or at Dana Wharf.